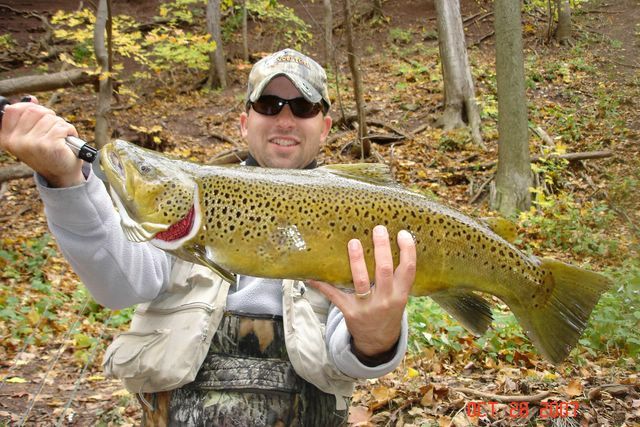 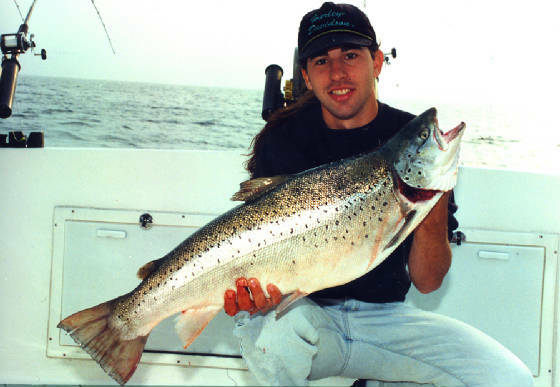 a 22 pound 8 ounce brown out of Lake Ontario. 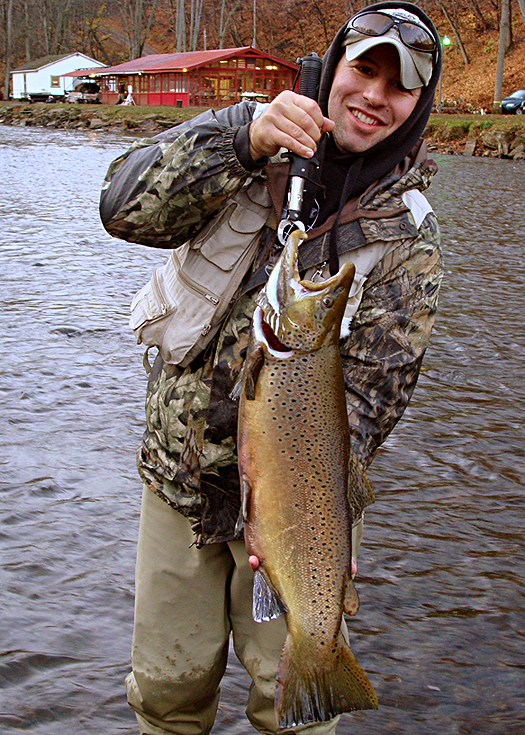 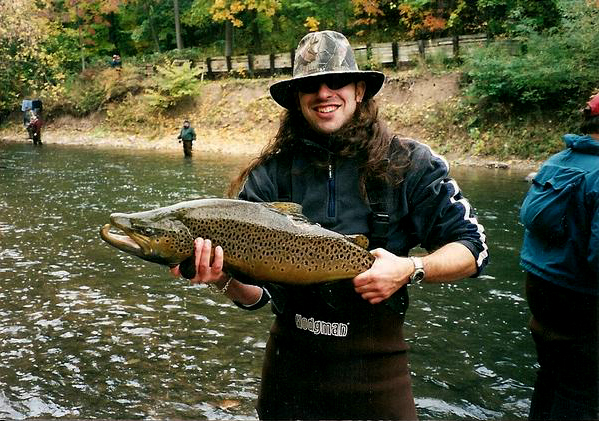 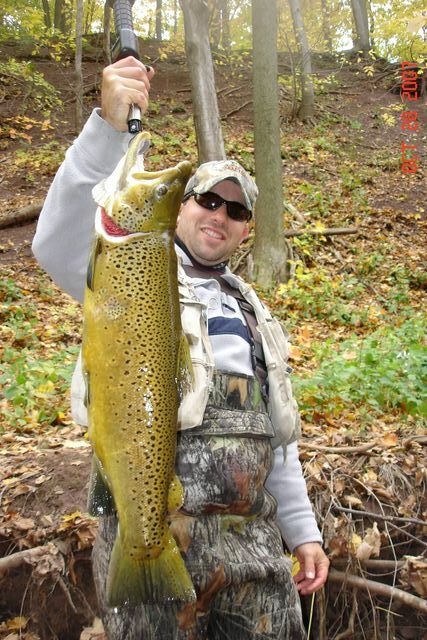 MY PERSONAL BEST BROWN 22 POUNDS & 8 OUNCES. 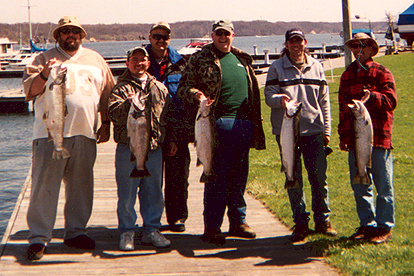 FRIEND AND T.L.H.U. 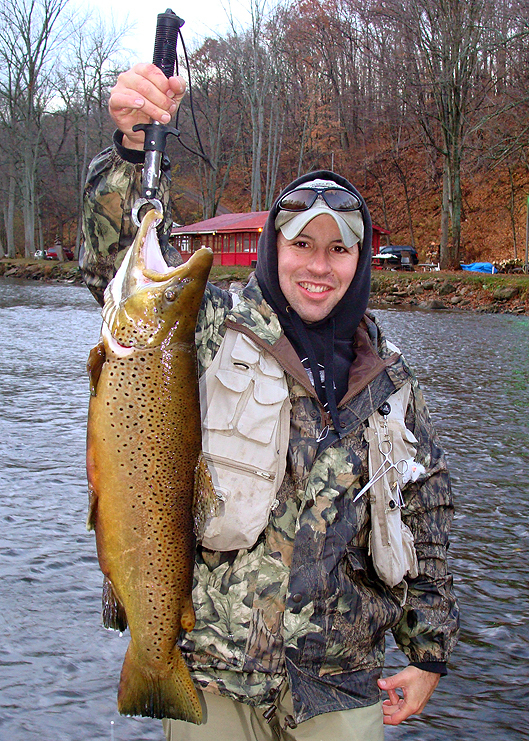 CONTRIBUTOR MIKE WITH A NICE BUCK MALE. 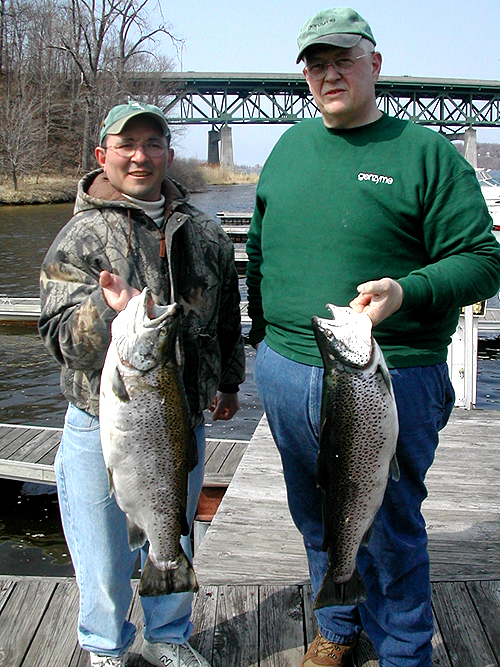 ON THE LAST FALL TRIP MIKE CAUGHT MOSTLY BUCKS AND I CAUGHT MOSTLY HENS, GO FIGURE! 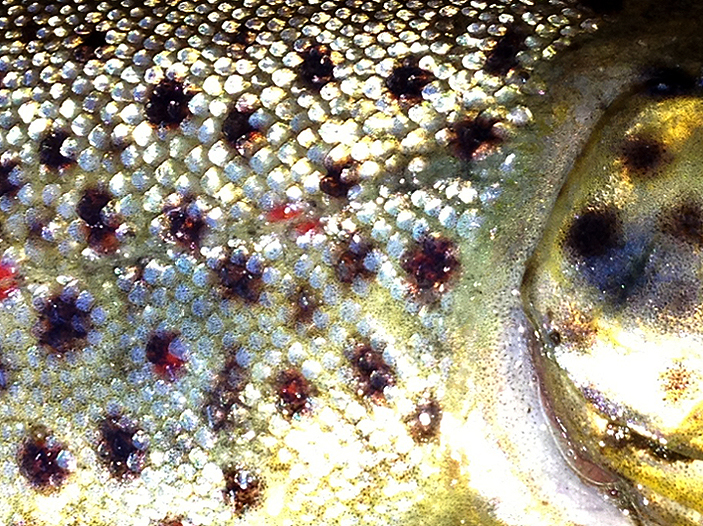 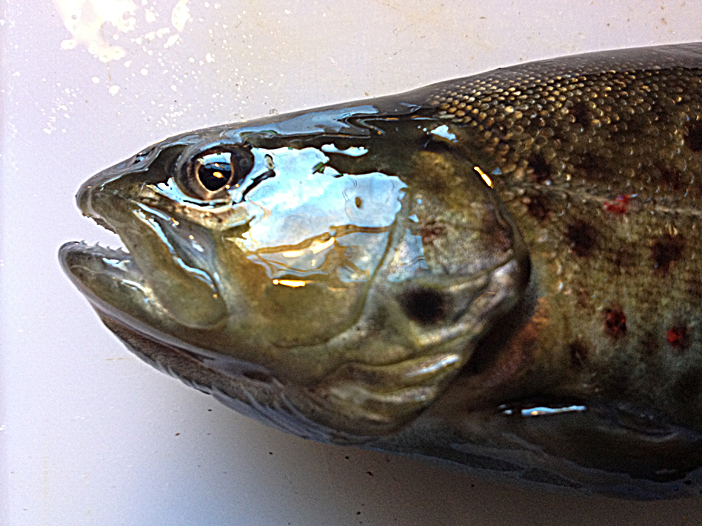 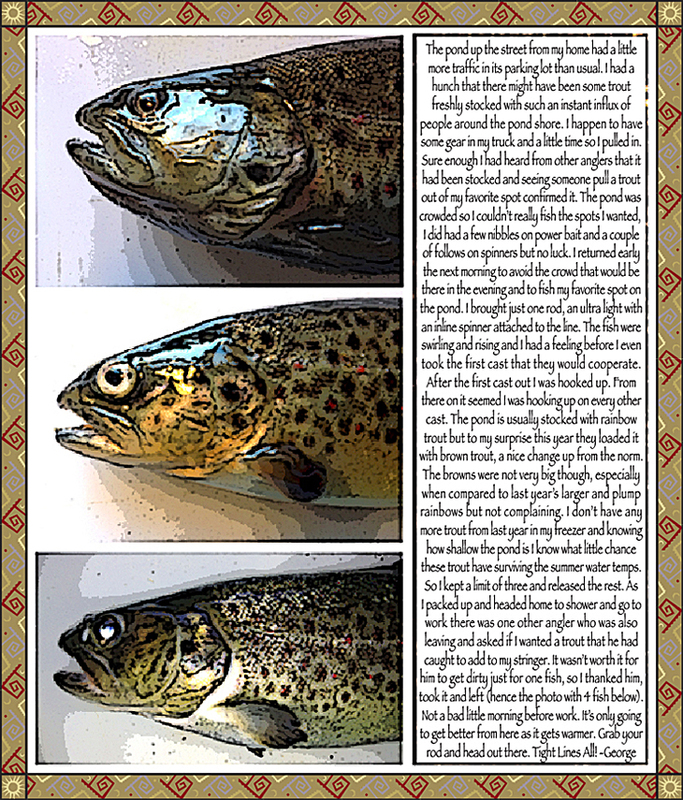 Below Some Decent MA Brown Trout Pics. 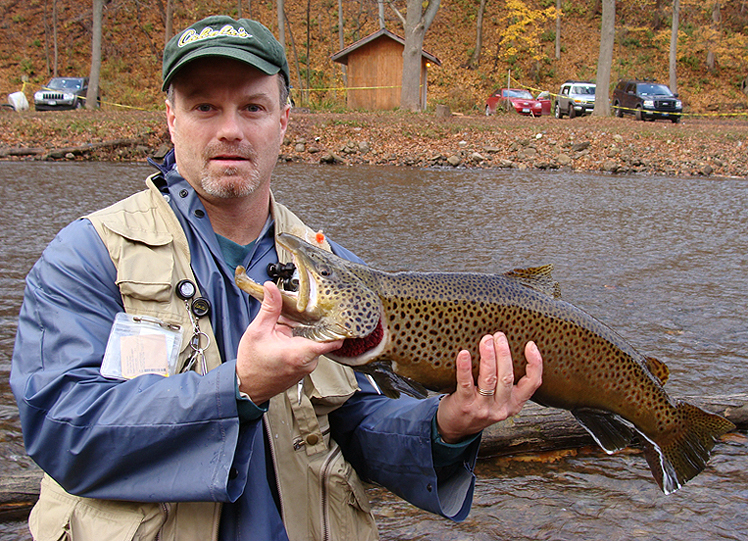 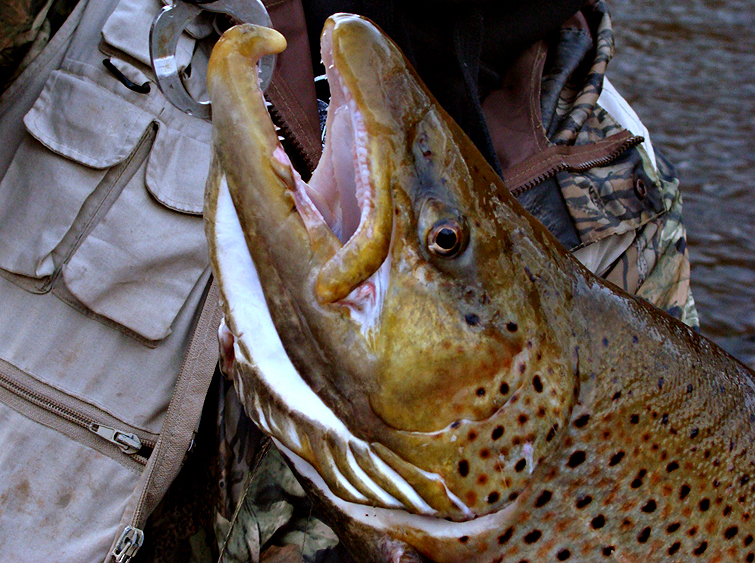 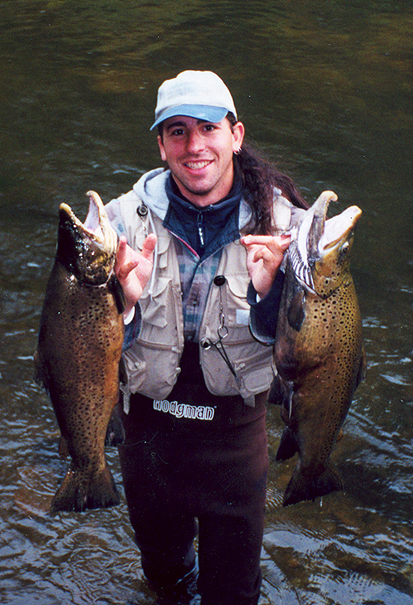 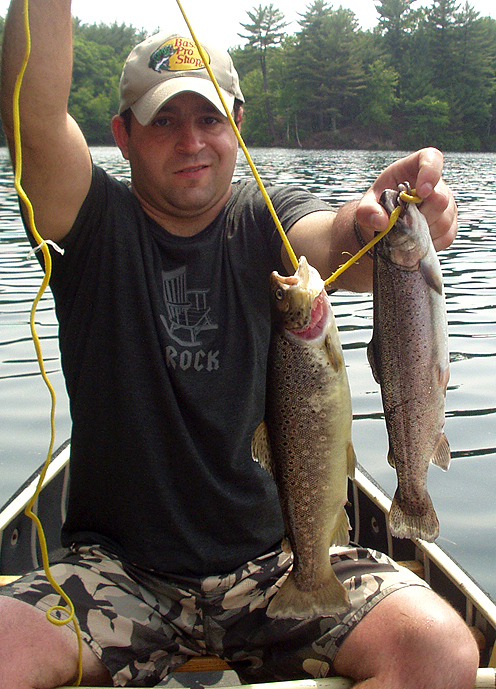 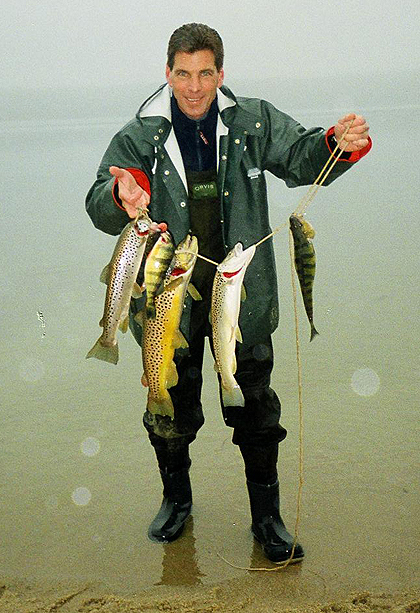 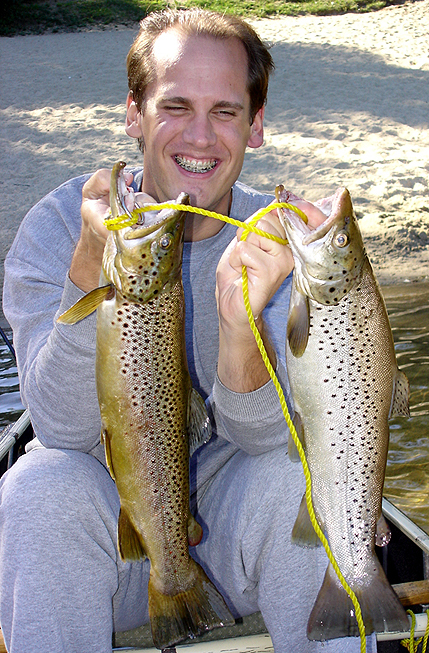 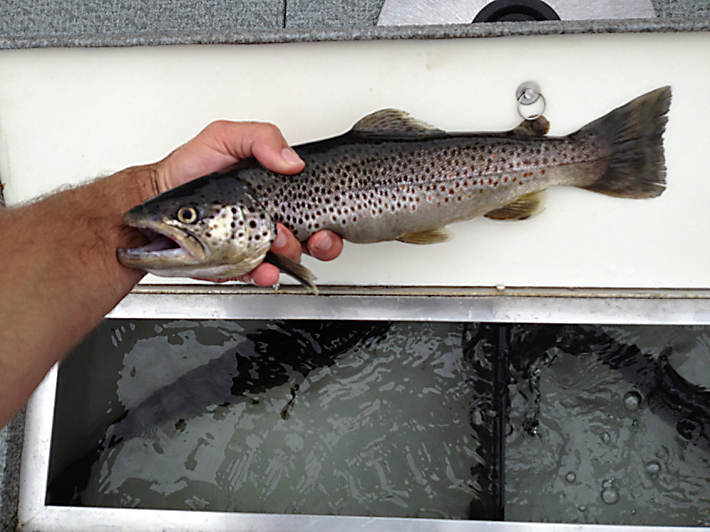 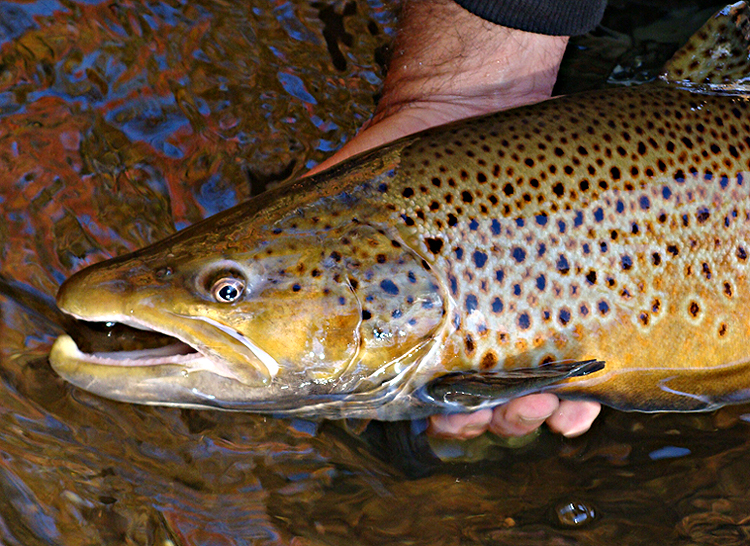 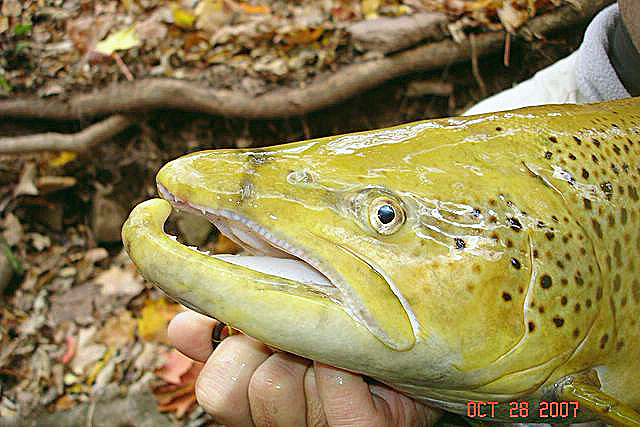 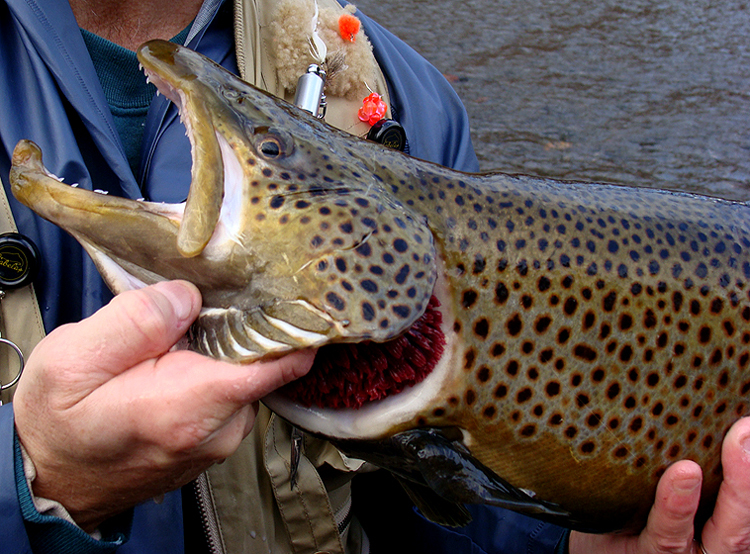 RAY'S TWIN SIZED BROWNS, EACH WITH THEIR OWN DISTINCTIVE PAINT JOB. 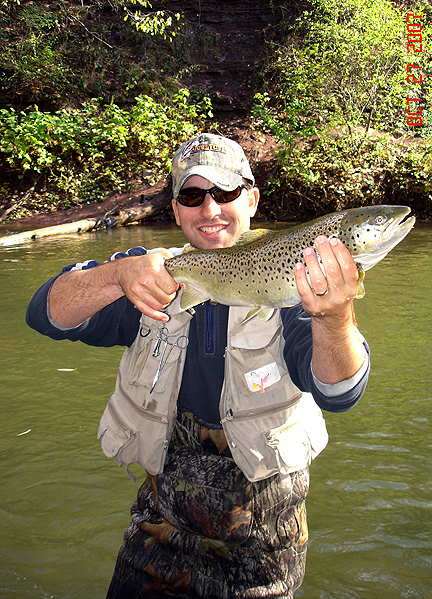 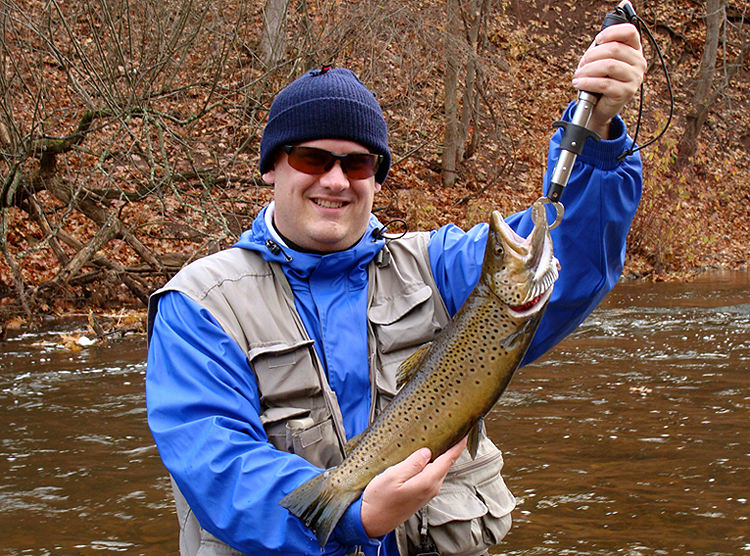 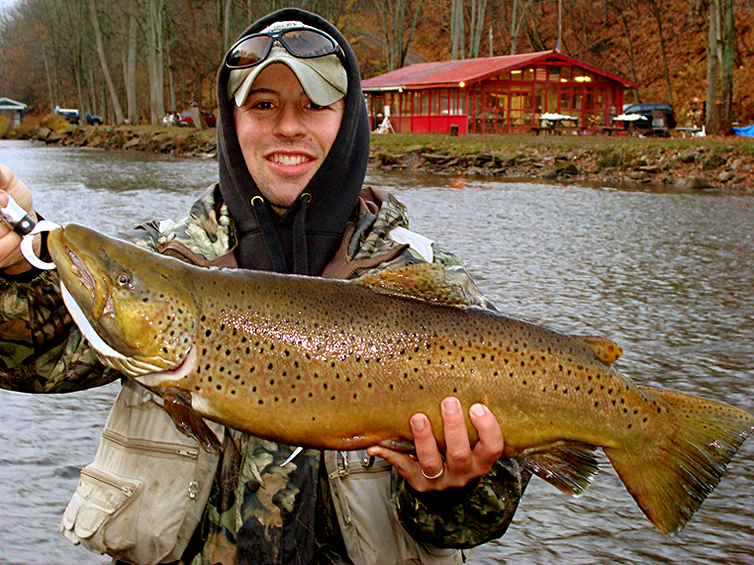 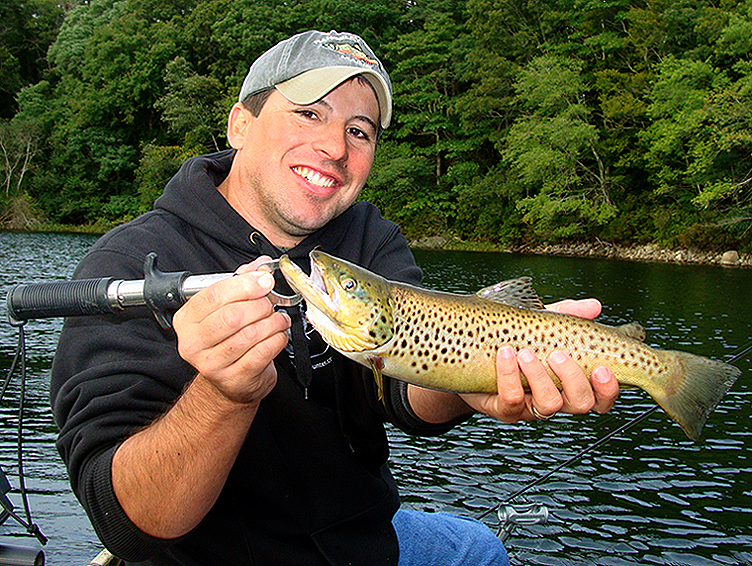 AFTER GUIDING RAY ON ONE OF MY SECRET SPOTS, HE CONNECTED WITH HIS PERSONAL BEST BROWN. 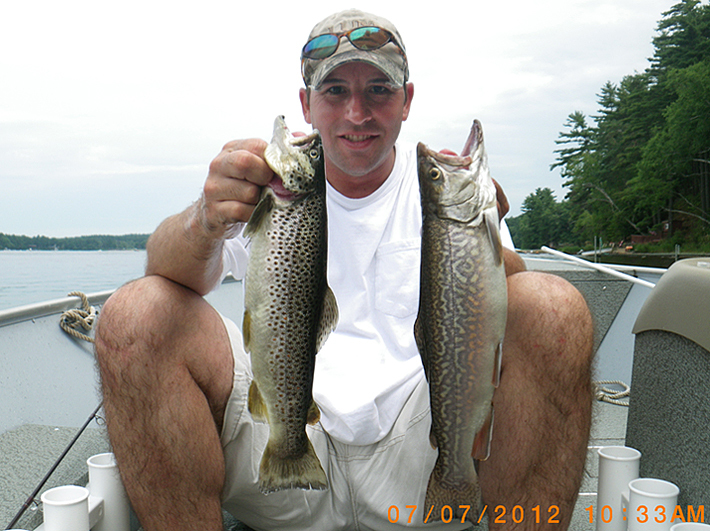 NOT A NY GIANT BUT A GOOD ONE FOR MA AND STILL FUN TO CATCH. 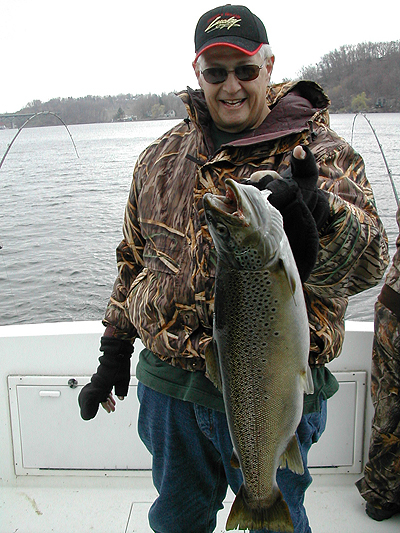 GLENN WITH ANOTHER NICE BROWN. 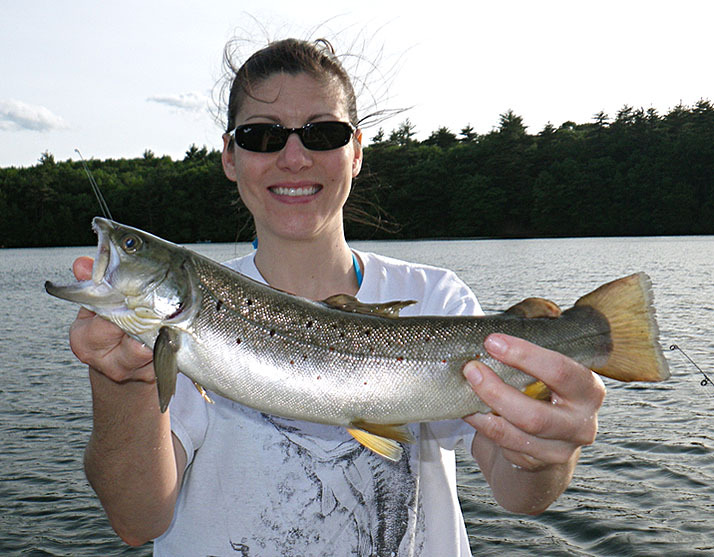 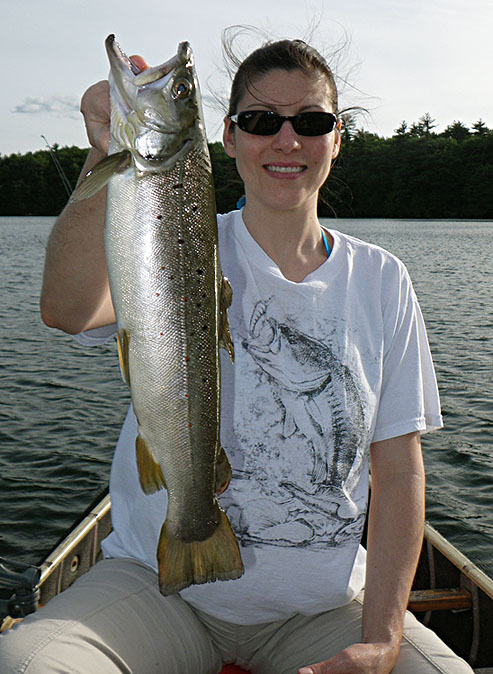 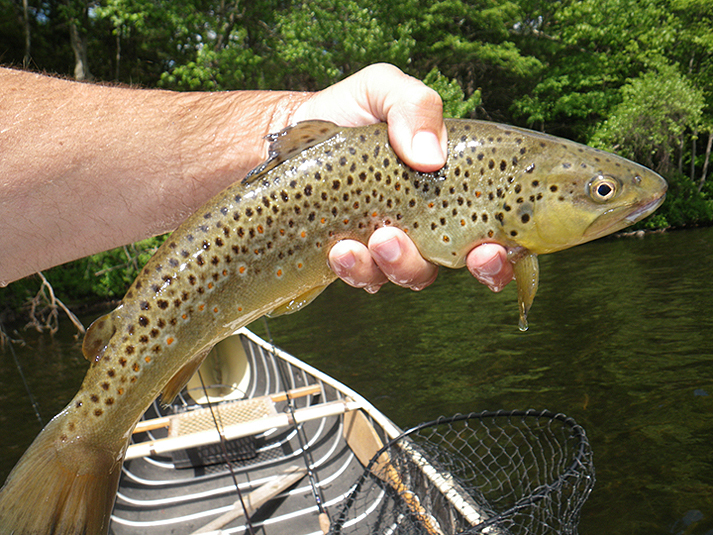 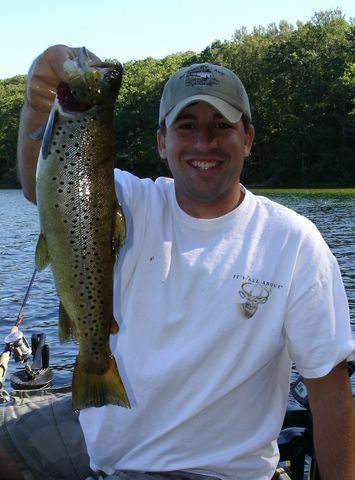 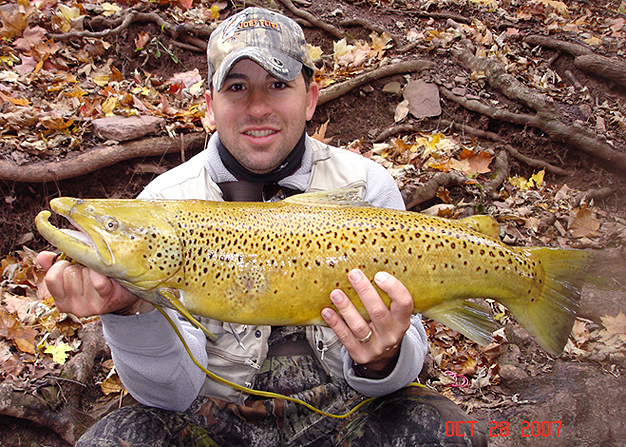 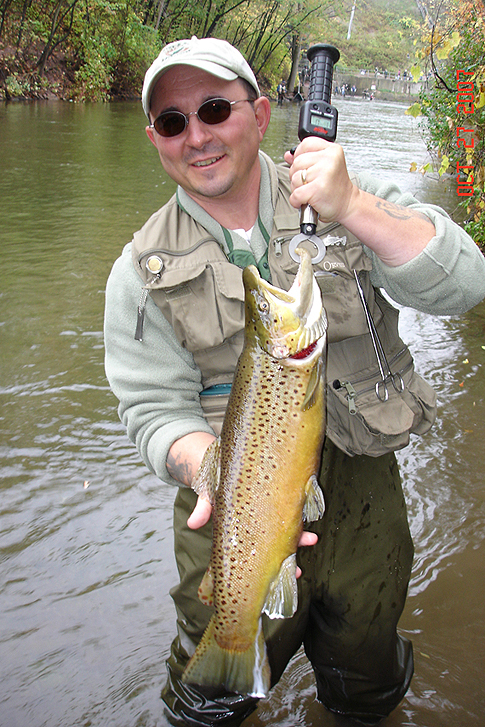 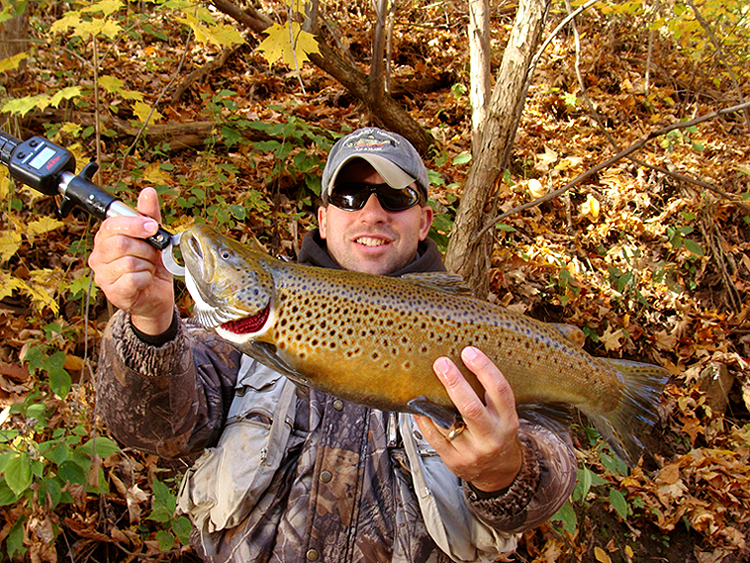 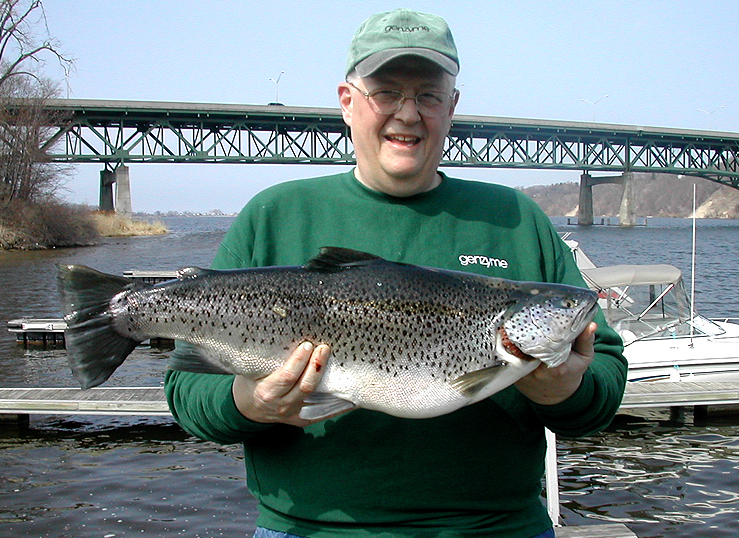 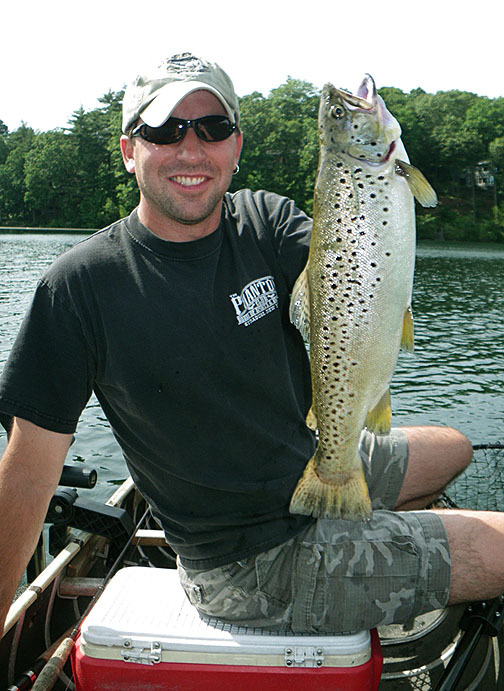 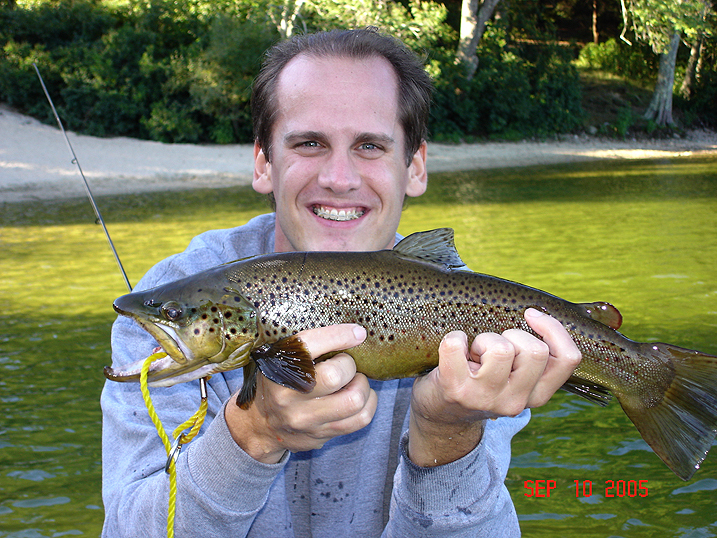 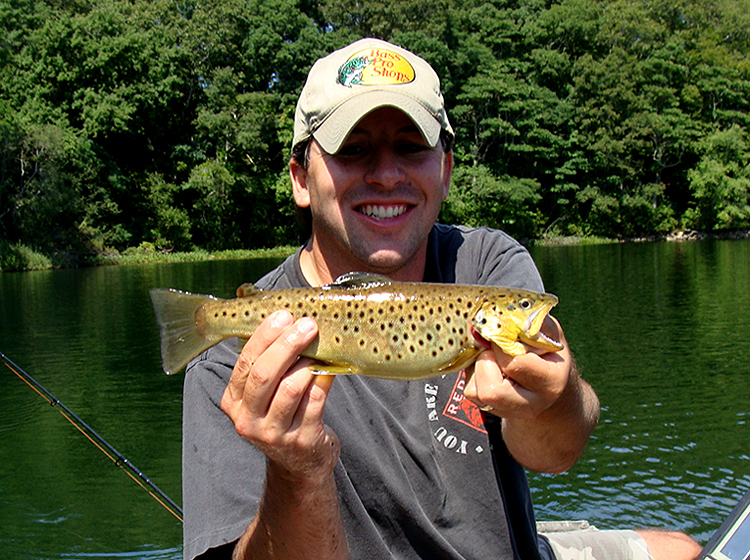 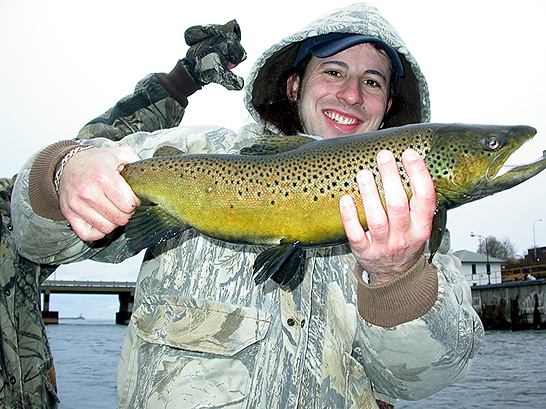 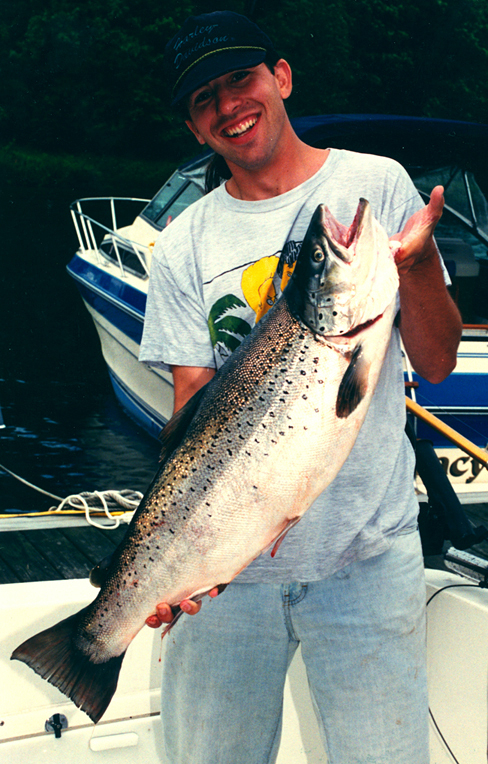 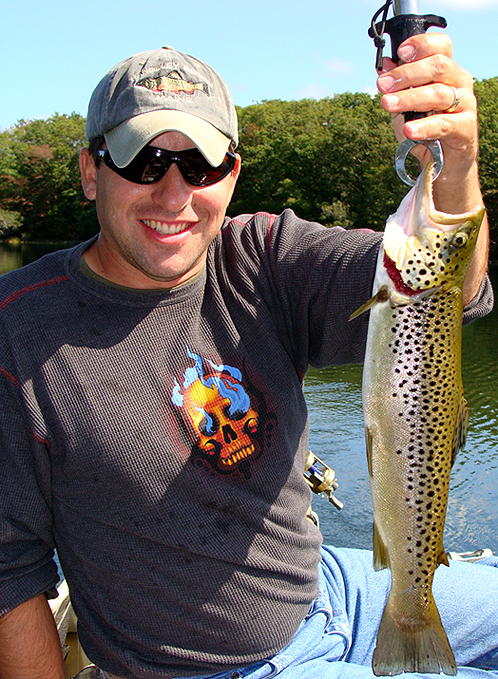 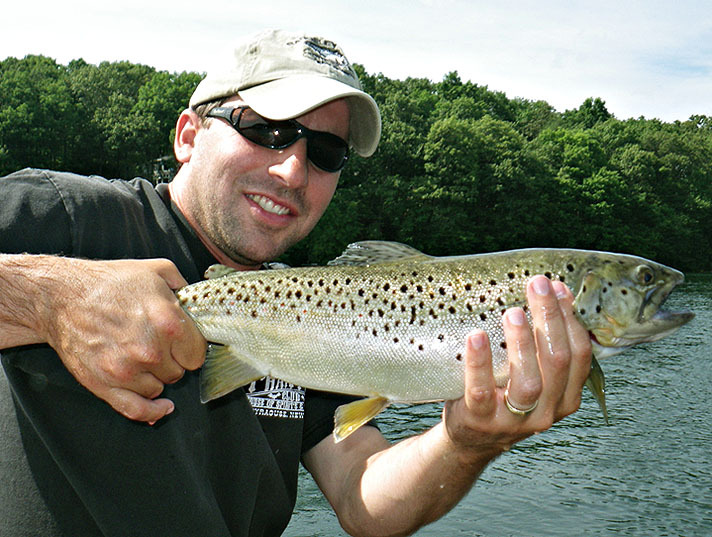 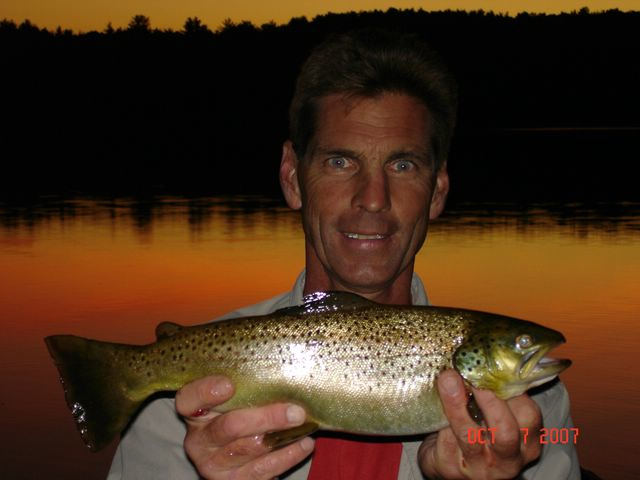 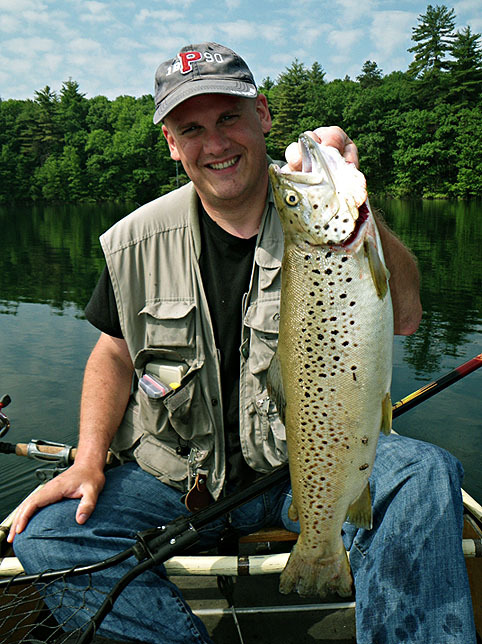 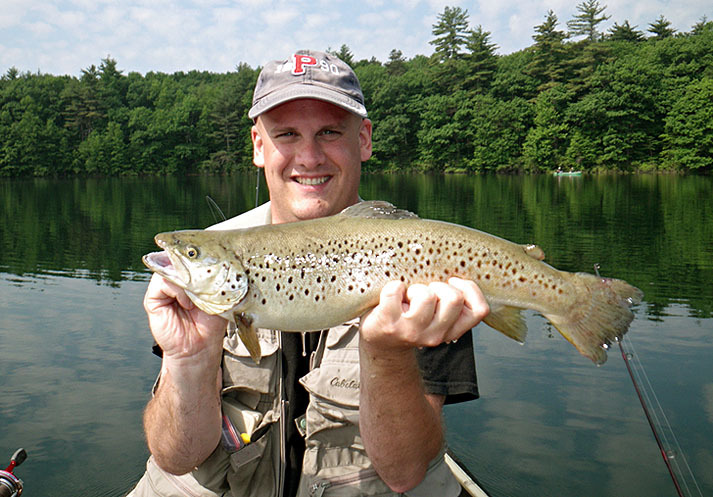 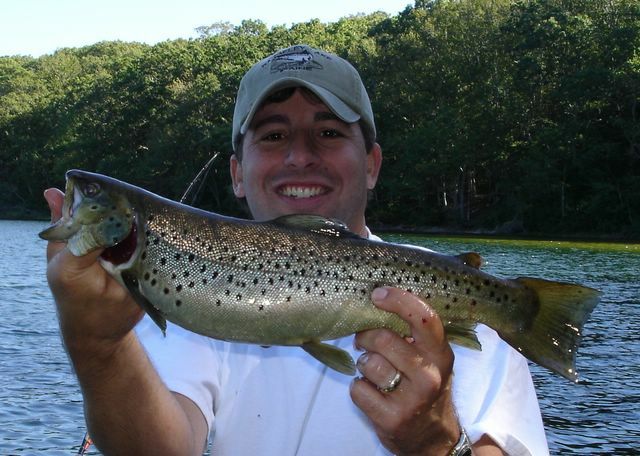 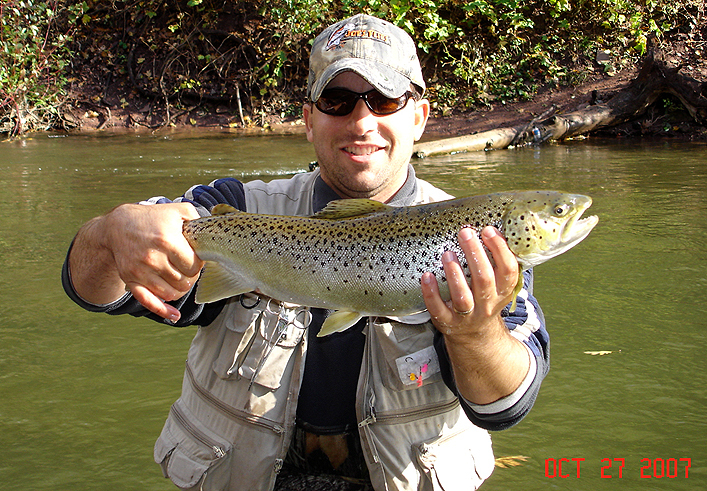 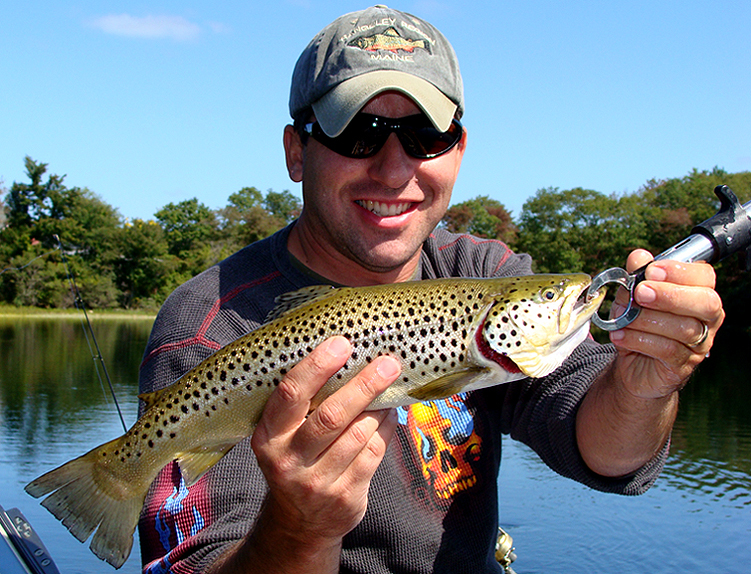 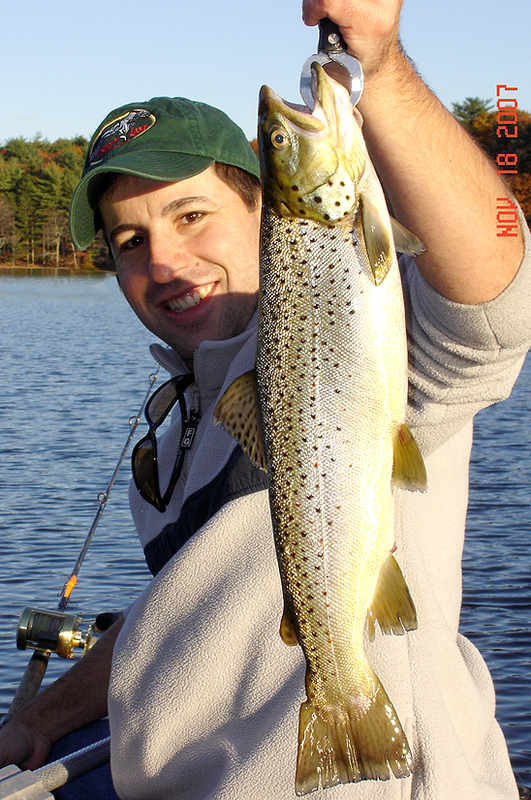 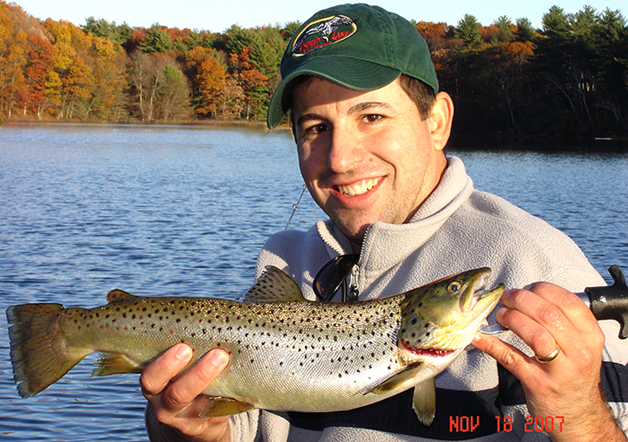 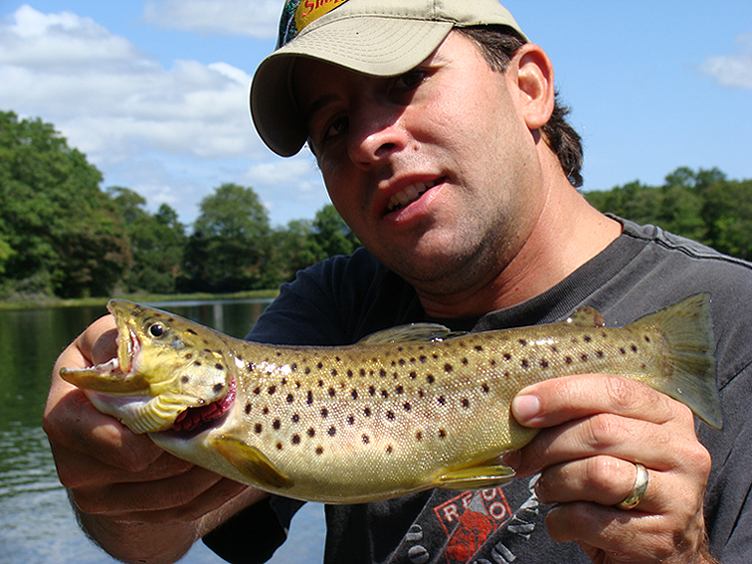 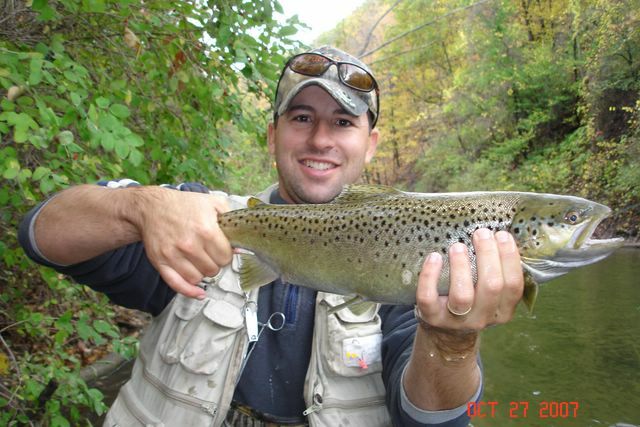 MY BROTHER BERT WAS HAPPY TO CATCH THIS MA BROWN WHILE VISITING FROM FL.